Mental toughness is a phrase that triggers unflattering business stereotypes in your head. But today’s guest claims it’s a skill that every executive, manager and entrepreneur really needs. Join host Hanna Hasl-Kelchner as she welcomes mental toughness expert LaRae Quy to find out what in the world she’s talking about. The 4 essential components of mental toughness. Why mental toughness is really a soft skill. How mental toughness differs from positive thinking. Why you need to push your personal limits to achieve mental toughness. Whether women need mental toughness more than men. What to do when you have self-doubt or limiting beliefs about your abilities. Why mental toughness demands you treat your business problems like an FBI investigation. 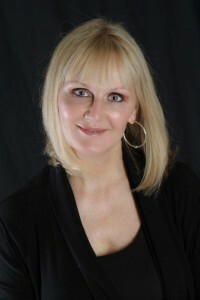 LaRae Quy is a former FBI undercover and counterintelligence agent. If you’re a fan of the TV hit show Quantico, please know that LaRae attended training at the real FBI Academy in Quantico, VA. It’s a culture that values physical strength and as a woman all eyes were on her to see if she could handle it. It was a hostile environment that at times openly questioned her qualifications to become an FBI agent, even though she had scored exceptionally high on cognitive and personality tests. Just as steel is forged under great heat, the pressure LaRae experienced at Quantico galvanized her determination to succeed. And succeed she did. She developed the mental toughness necessary to identify foreign spies and recruit them to work for the US. Government. That’s right, she got these foreign spies to flip and change sides. To do that successfully meant she had to learn how to survive in an environment of tremendous personal risk, uncertainty, and deception while doing her James Bond work. 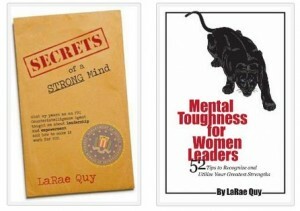 Mental Toughness for Women Leaders: 52 Tips To Recognize and Utilize Your Greatest Strengths.